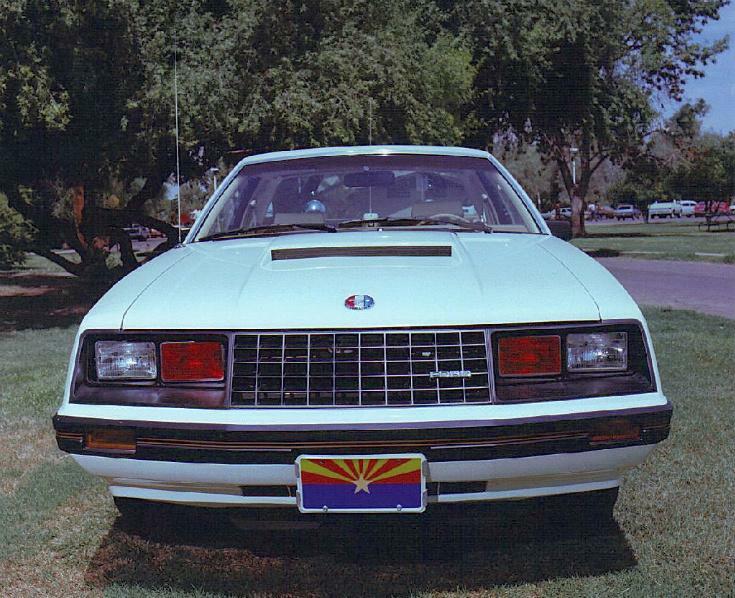 1982 Arizona Mustang. This may have been a test vehicle for them. Photo courtesy of Brian (89 AZ SSP). 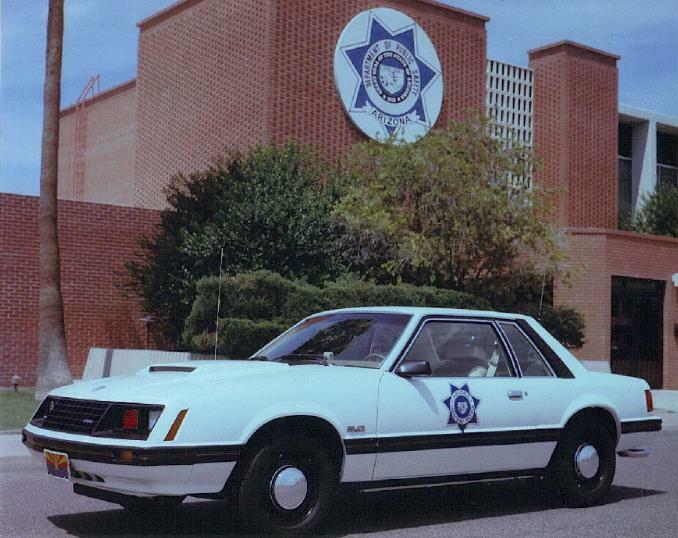 Another shot of the 1982 Arizona Mustang above. Photo courtesy of Brian (89 AZ SSP). One more of the '82. 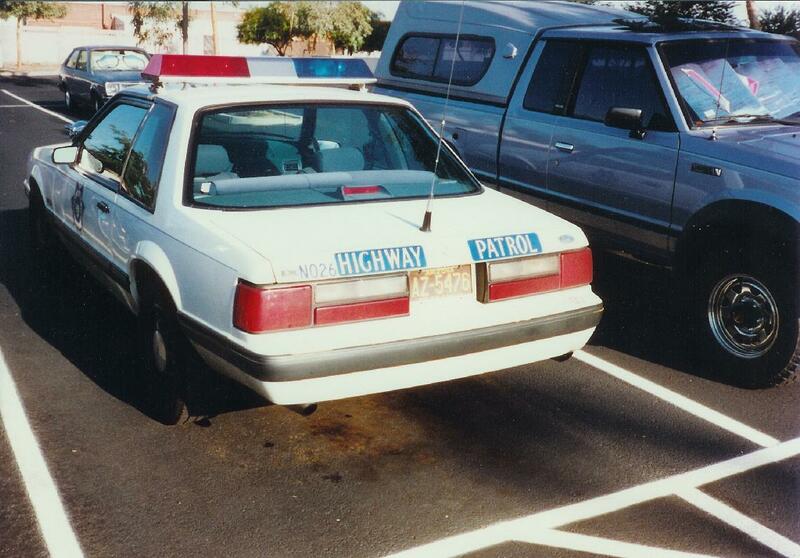 The red lights replacing the high-beam headlights on this car were available in strobes or halogens. Photo courtesy of Brian (89 AZ SSP). 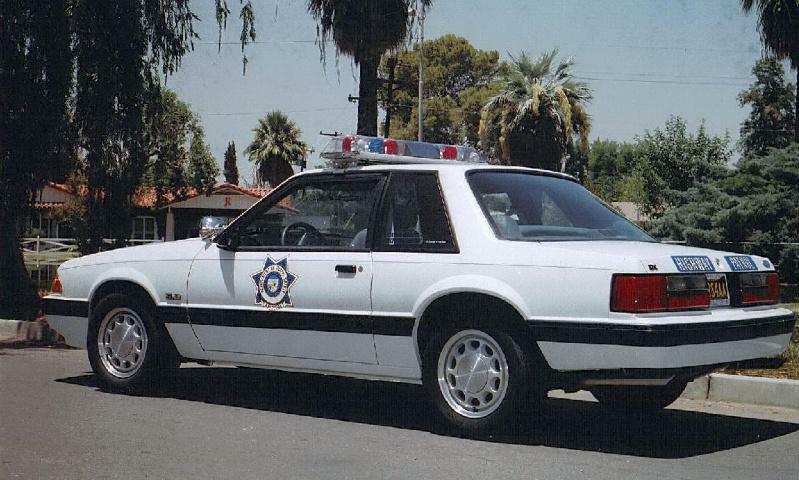 1986 Mustang. Nice Jetsonic car with trim rings on the 15 inch wheels. Photo courtesy of Brian (89 AZ SSP). 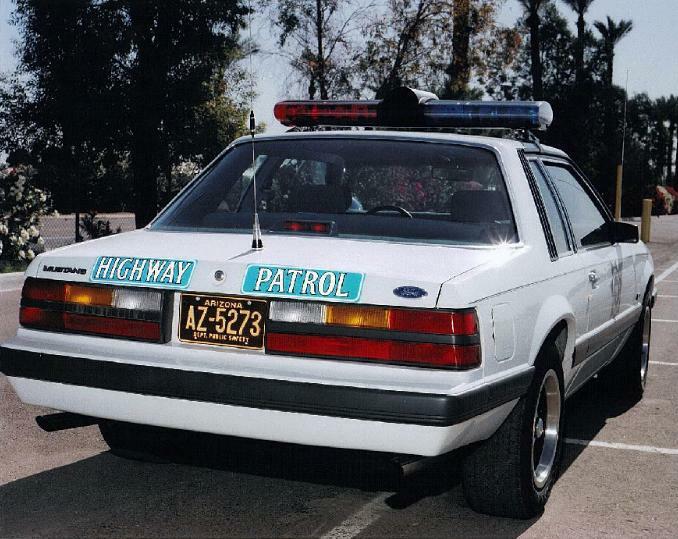 Rear shot of the 1986 Mustang above, decklid mounted antenna and rear decals. Photo courtesy of Brian (89 AZ SSP). 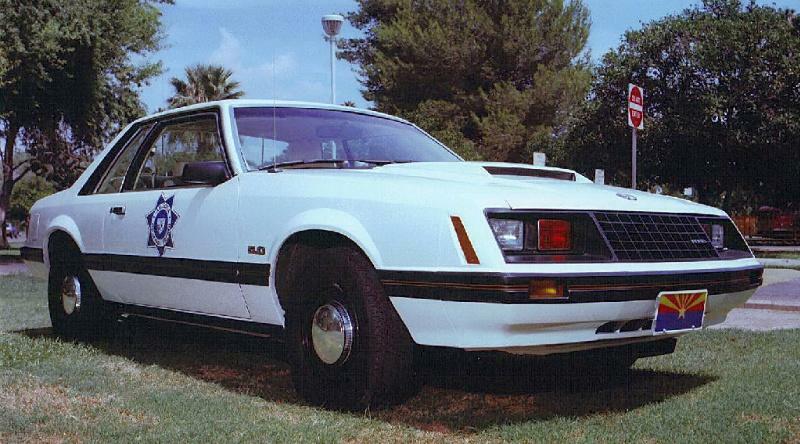 Another 1986 Mustang, slicktop configuration. Photo courtesy of Brian (89 AZ SSP). 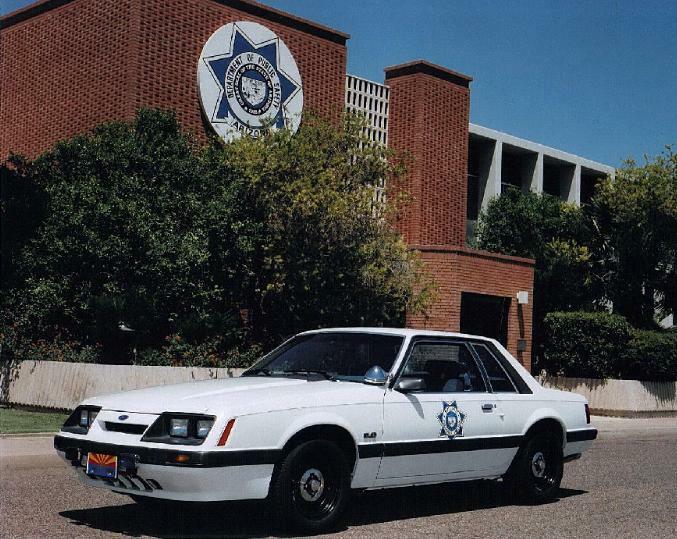 1987-1989 Arizona Mustang. 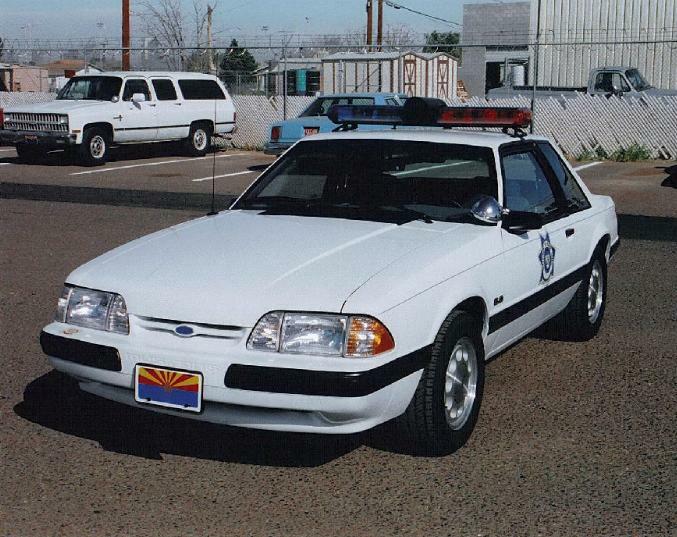 This car has a Code 3 lightbar; AZ used several different bars (in different configurations). 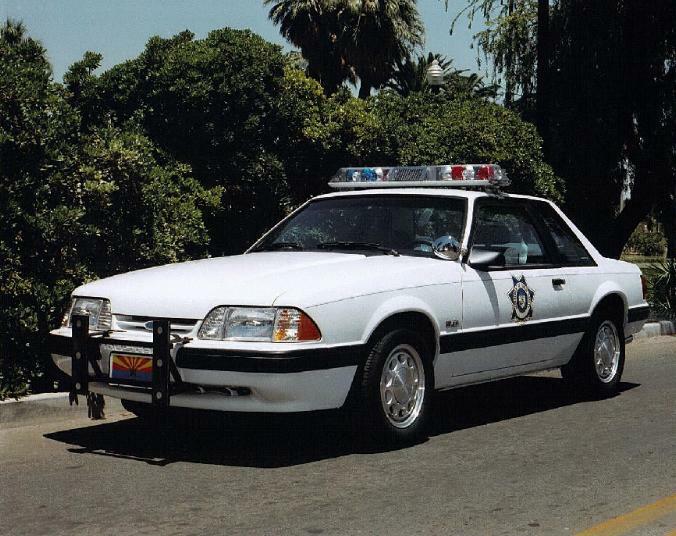 1990 or 1991 Mustang, with another Code 3 lightbar. Photo courtesy of Brian (89 AZ SSP). Another shot of the 1990 or 1991 Mustang above. 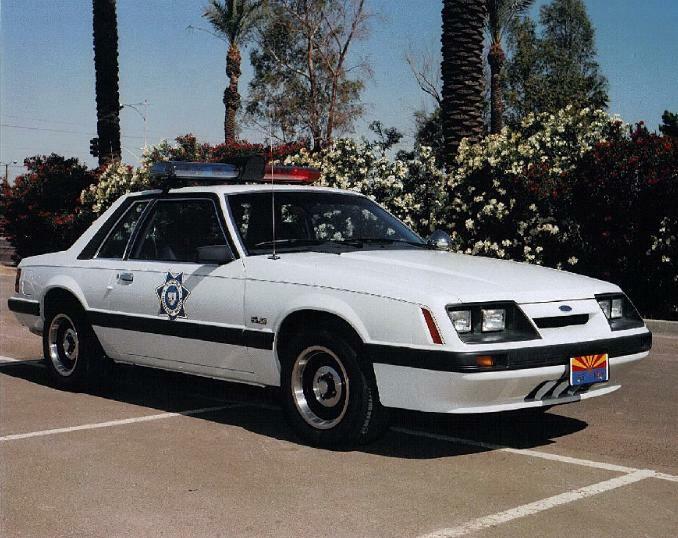 AZ ran pushbumpers on some cars. Photo courtesy of Brian (89 AZ SSP). 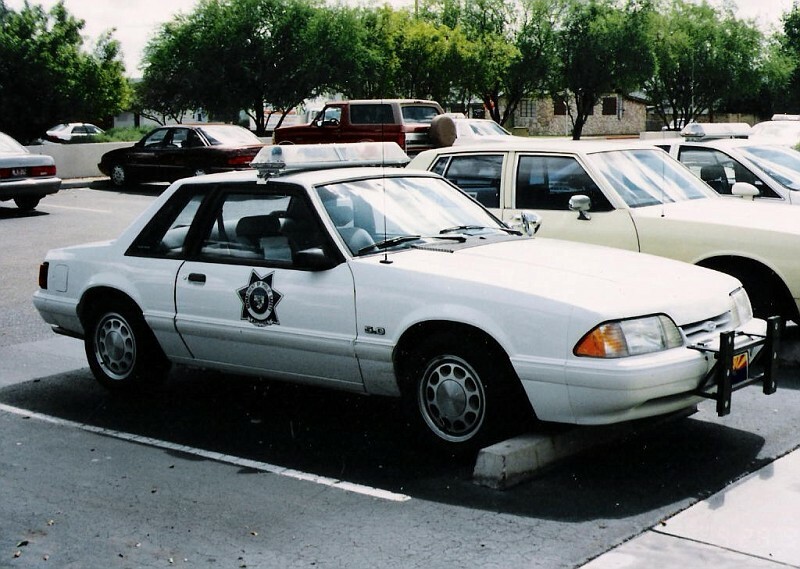 Another 1990 or 1991 Mustang, but this one has a Jetsonic, no pushbars. Photo courtesy of Brian (89 AZ SSP). Another shot of the 1990 or 1991 above. Single radio antenna on the decklid. E. Prince Photo. 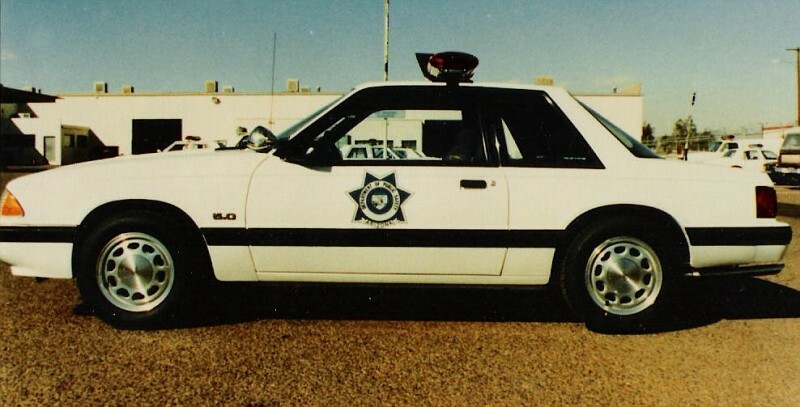 A 1992 unit. This one also has a Code 3 lightbar, but with clear domes and colored filters.